Living Life in Crescendo is a “continual process of refining and redefining what you need to do in life.” So Why Live Life in Crescendo? Because the more excited you become about what you are doing each day, the more energy you draw from life. In such cases, the motivation, albeit short-term, is to save the child. The energy drawn by this motivation is extraordinary. Now draw out the motivation over the course of a life. 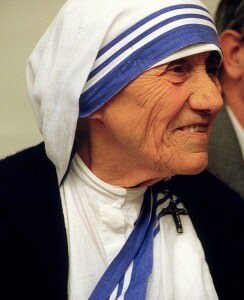 Mother Teresa is a good example of self-less commitment to aiding the poor. Where did she get her energy, and ward off disease though consistently exposed to it? Certainly you can Google the countless articles on motivational theory, empowerment and its effect on human energy, and psychological behavior. Marshall Jones in the Nebraska Symposium is quoted as saying “Motivation has to do with how behavior gets started, is energized, is sustained, is directed, is stopped. David McClelland in his book on Human Motivation states, “Motivation has to do with the why of behavior as opposed to the how or the what. But I don’t believe I need to get anymore academic. The reality is that you know in your heart that this is true. What is Living Life in Crescendo?